In the midst of a historic drought now in its fifth year, California is taking urgent steps to promote conservation and reduce reliance on overused long-distance transfers and groundwater sources. Governor Brown’s 2016 Water Action Plan establishes regional water supply self-reliance as a top goal and identifies seawater desalination as a regional source of new water supplies. 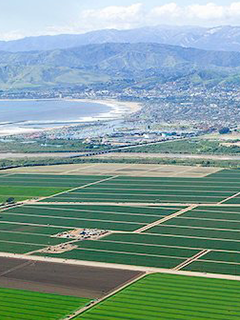 Additionally, Southern California’s Metropolitan Water District, in the agency’s 2015 Integrated Resource Plan (IRP), identifies the need to develop 200,000 acre feet of new local drinking water, including seawater desalination, by the year 2040. California, our largest state with 39 million residents, is projected to grow to 44 million by 2030 according to the state’s Department of Finance. Water rates in Southern California have risen steadily. They are poised to rise further as growth drives demand while traditional supplies remains constrained and unpredictable. According to experts, many diverse strategies – including desalination as well as conservation, recycling, stormwater reuse, transfers and storage – will be needed to meet this challenge. Among all of these strategies, desalination is unique in offering a new source of supply that is locally available and independent of weather cycles. As early as 1965, the California Legislature declared a primary interest in the development of water desalination that could eliminate or supplement water supplies transported over long distances and provide a direct and easily managed water supply. Since that time, state policies have consistently included desalination as part of a balanced, long-term strategy to ensure the state’s future water security. Poseidon Water is currently developing a project in Huntington Beach, California. Learn more. ​Poseidon Water has Development Offices located in Carlsbad and Huntington Beach, California. Our offices. Poseidon Water is actively pursuing business development opportunities in California. For more information, please contact us.